Here is Some Information about Tali Temple in Kozhikode Kerala India. The Tali(Shiva) Temple is Located in Tali Kozhikode Kerala.The temple was built in 14th century.The temple is dedicated to Lord Shiva.The Tali Temple is a fine example of the total integration that can exist between wood and laterite, which is a remarkable feature of the Kerala style of architecture. The intricate brass-relief on the walls of the sanctum sanctorum and elaborate brass carvings on the wooden roof are quite fascinating. The temple is surrounded by gigantic walls of 'elephant belly' (aana palla) type with broad base and narrower neck at the top. One of the two tanks attached to the temple can be seen to the right. The temple hosts the annual 'competition for scholars' called Revathi Pattathanam attended by eminent scholars and philophers of Bharatiya Mimamsa, Prabhakara Mimamsa, Vedanta Mimamsa and Vyakarana. The temple was also the site for the famous anti-caste agitation of 1911 organized by Krishna Vakil (editor of Mitavadi) and advocate Manjeri Rama Ayyar for the rights of 'low-caste' people to use the road between the tank and the temple. 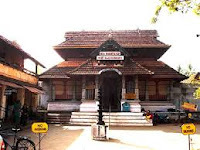 The Tali Temple situated in the heart of the Kozhikode Town, about one kilometer east of the Railway Station and a treasure house of historical memorable is under the Trusteeship of the Zamorin of Calicut. 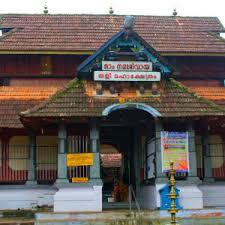 The founding and prosperity of Kozhikode town is closely linked with the sanctity of this ancient temple. The Jyothirlingam in the sanctum – Sanctorum of the Temple was installed towards the end of Dwaparayuga by Sri. Parasurama, who was responsible for the creation of Kerala, by retrieving the land from the sea by throwing his powerful axe from the top of Sahyadri, The posture in the sanctum-sanctorum is that of Umamaheswara. Though this divine power existed from time immemorial, the attention of the citizens of Kozhikode was (bestowed on the temple) only by about 1500 years ago. It reached its zenith during the rule of the Zamorins, who had the prestigious title Sailabdheswara (The lord of the mountain and the sea). 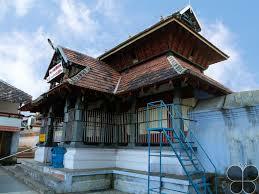 By Road : There are public and private vehecels available to reach Tali(Shiva) Temple in Kozhikode Kerala. By Rail : The Nearest Railway station is Kozhikode station. By Air : The Neareat Airport is Calicut International Airport.